Which CrewGuard size should I order? 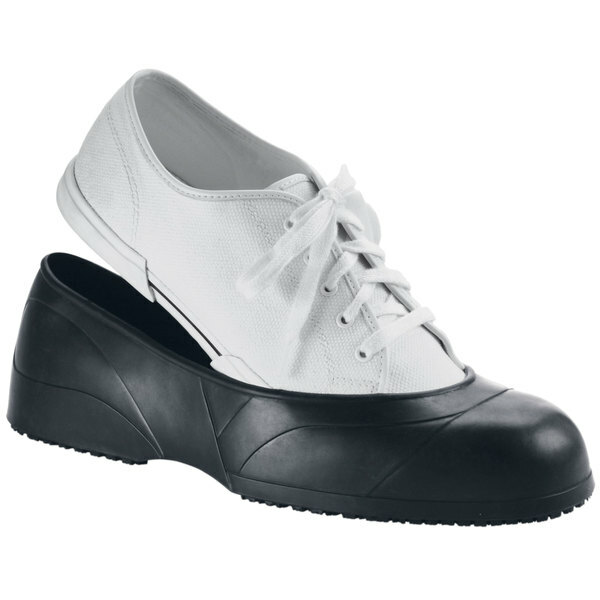 Each CrewGuard size covers a range of U.S. shoe sizes. To figure out which one will offer the best fit, use the size guide to determine your equivalent shoe size. 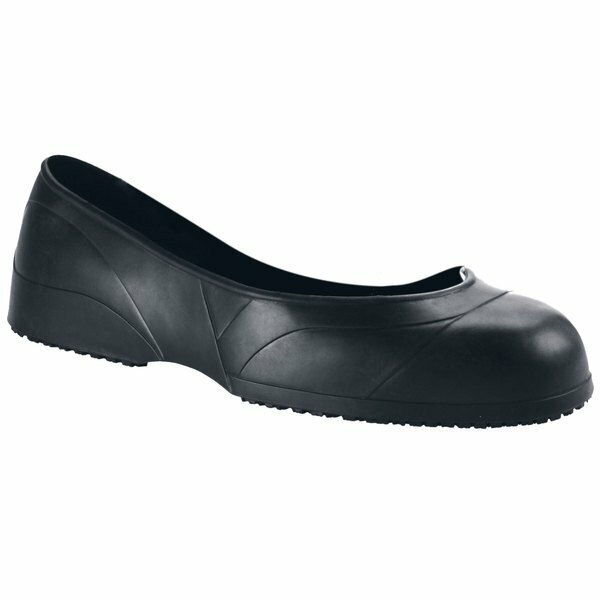 Make your shoe instantly slip-resistant and waterproof thanks to this Shoes For Crews 50 unisex medium width black CrewGuard slip-resistant overshoes. The rubber upper material protects your shoe from spills while providing superior traction. It's also easy to fit over almost any pair of sneakers or work shoes, as the design wraps around the shoe snugly and securely. Use this overshoe, and turn your favorite pair of shoes into a non-slip shoe safe for use in the kitchen or any other workspace.